In what the New York Times’s A.O. Scott called a “suave, scholarly tour de force,” J. Hoberman delivers a brilliant and witty look at the decade when politics and pop culture became one. This was the era of the Missile Gap and the Space Race, the Black and Sexual Revolutions, the Vietnam War and Watergate—as well as the tele-saturation of the American market and the advent of Pop art. In “elegant, epigrammatic prose,” as Scott put it, Hoberman moves from the political histories of movies to the theater of wars, national political campaigns, and pop culture events. 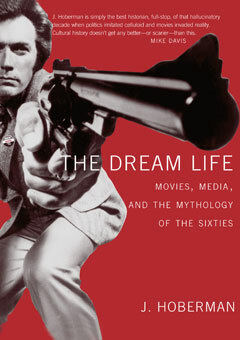 With entertaining reinterpretations of key Hollywood movies (such as Bonnie and Clyde, The Wild Bunch, and Shampoo), and meditations on personages from Che Guevara, John Wayne, and Patty Hearst to Jane Fonda, Ronald Reagan, and Dirty Harry, Hoberman reconstructs the hidden political history of 1960s cinema and the formation of America’s mass-mediated politics.